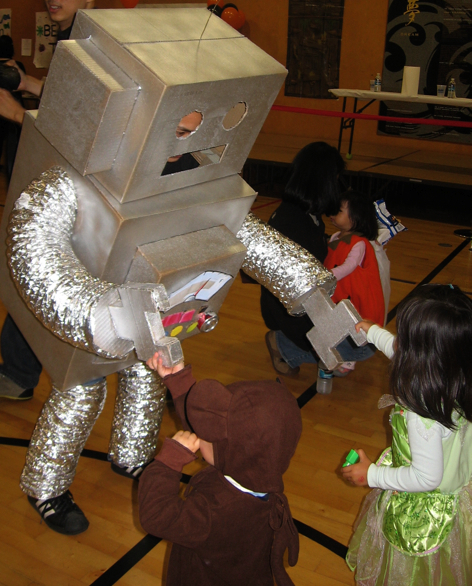 SAN FRANCISCO — Two events in San Francisco Japantown will offer a safe and fun Halloween celebration with lots of activities for kids. The Japanese Cultural and Community Center of Northern California and the Japanese Community Youth Council present the Obake Bash Halloween Carnival on Friday, Oct. 25, from 6 to 8:30 p.m. at the JCCCC, 1840 Sutter St. The event will feature a costume contest, bouncy house, arts and crafts, goodie to eat, prizes, and the Haunted Hallway. Admission is $7 at the door. For more information, call (415) 567-5505 or visit www.jcccnc.org. The Japan Center Malls will host the Spooktacular Halloween Trick or Treat Party and Parade on Sunday, Oct. 27, from 12 to 4 p.m. Families are encouraged to bring their kids in full costume. In addition to trick-or-treating in the Japan Center Malls, East and West, free activities include a costume parade at 2:30 p.m., games, a mysterious bouncy house, face-painting, scary tattoos, and a haunted craft corner. This event is co-presented with JCCCNC and JCYC.